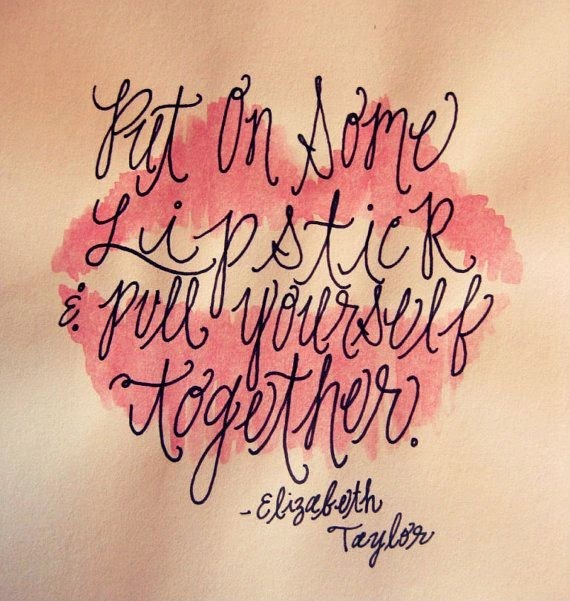 I found this picture a little while ago, I'm not sure what the source of the picture is but the quote is knowingly sourced from Elizabeth Taylor and it's basically a nicer way of saying put a brave face on and get on with it. No matter how rubbish things go, just try and get through it. Fake a smile and pretend your ok and get to where you need to be!